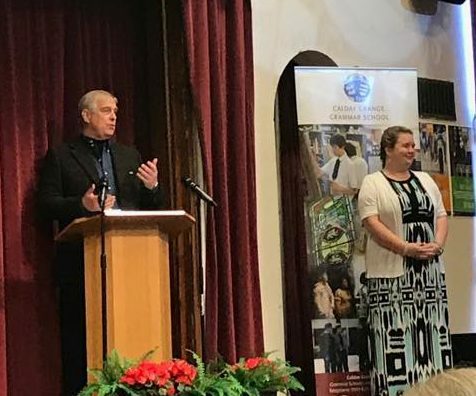 On the 12th of September All About STEM​ attended a fantastic presentation from The Duke of York​ at Calday Grange Grammar School​. Calday students have been dedicated to completing their Bronze iDEA Awards (The Duke of York Inspiring Digital Enterprise Award) and with an amazing 102 individuals making the grade, Calday has the highest completion in the world for one institution. 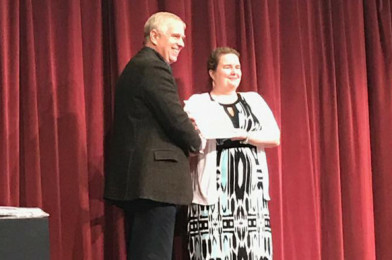 Mrs Mounsey, Master Teacher of Computer Science and lead on this programme received her award too. ‘If we are to be prosperous in the future we need to invest in education and skills. Today things change so quickly we need to be adaptable.” – The Duke of York. The Duke of York Inspiring Digital Enterprise Award (iDEA), helps people enhance their chances in the job market with digital and enterprise skills.